More and more automotive companies work in the cloud. The reason; the benefits are unprecedented and more and more cloud-based solutions. 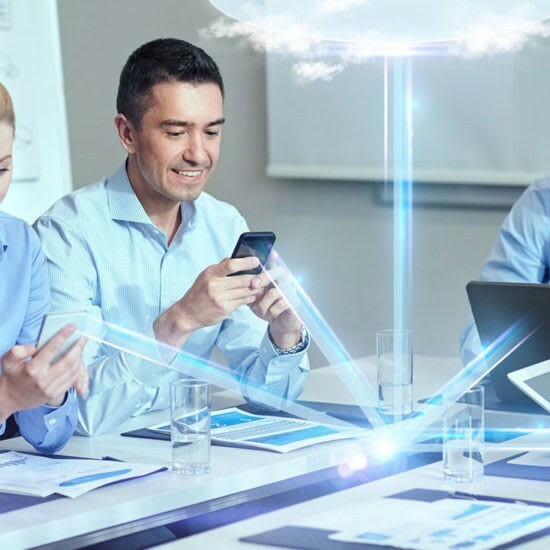 The biggest advantage of working in the cloud is that you really at any point, twenty-four hours a day, seven days a week from any device (PC, laptop, tablet, smartphone) can access your corporate data and business applications. Since all computing takes place in the cloud, there need to be much less demands on the equipment used at your site. You can achieve unprecedented savings in administrative costs, purchase and depreciation of the hardware. You have a monthly insight into the costs per user and are very flexible in bijschalen the number of users. Another advantage is that you can achieve relatively simple smart links between various cloud-based solutions. This allows you to make optimum use of the relevant functionalities. Think of hosted telephony, but also to Saas solutions (software-as-a-service) such as customized software.